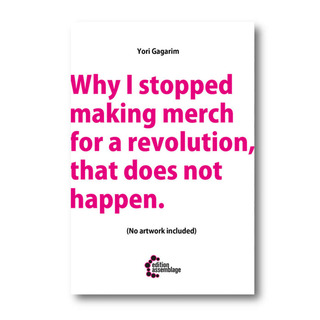 'Why I stopped making merch for a revolution that does not happen.' is a spiraling essay on art, activism and survival. Written down within a couple of days this inner monologue captures more than two decades of precious experiences and harsh disappointments and connects growing up in a d.i.y.-family to marketable skills in recent subcultures and neoliberalism. It is a very personal approach on how to make a living as a self-taught d.i.y-artist while doing professional work in alternative communities and how (self)exploitation and disillusionment hits close to home. The story starts in the left-overs of punk in the 80ties, glances at the beginnings of streetart, anarchist and queer subcultures in Berlin and comes to an end in 2016, where frustration, boredom and abuse let to this difficult decision of dismissing yourself from what you (once) loved. It is an intense read of letting go, rich of sharp dissections of queer/leftist politics but full of love and passion after all. 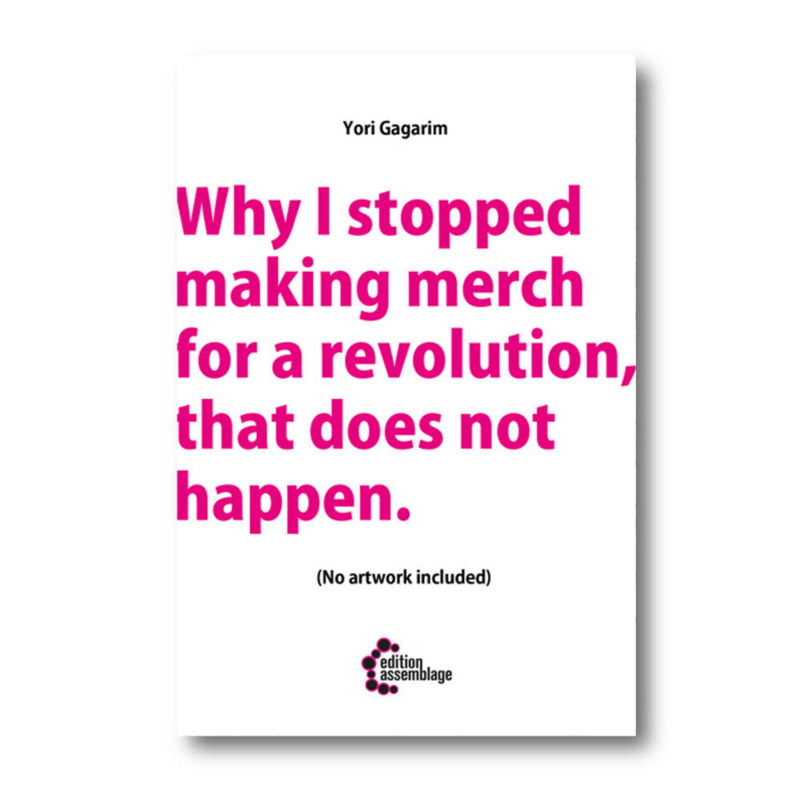 Yori Gagarim makes art'n'stuff, comix, concepts and a lot of chaos. Professional d.i.y., visual politics and queer utility graphics are the cornerstones of Yoris previous work, which are constantly emerging in new forms and are spread over four continents. Humor and bitterness are constant companions, as well as various labels and contradictions.